Today, let’s learn and compare two terms in optic communication: transceiver vs transmitter(originated in the early 1920s. Looking up in the dictionary, we can distinguish that transmitter is a device that transmits something(in all senses), and transceiver is a combined transmitter and receiver. A transmitter can either be a separate piece of electronic equipment or an integrated circuit (IC) within another electronic device. A transmitter generates a radio frequency current applied to the antenna, which in turn radiates radio waves for communication, radar and navigational purposes. The information that is provided to the transmitter is in the form of an electronic signal. This includes audio from a microphone, video from a TV camera, or a digital signal for wireless networking devices. The electronics for a transmitter are simple. They convert an incoming pulse (voltage) into a precise current pulse to drive the source. Different transmitter has different functions. Take the optical transmitter as an example, it consists of the following components: optical source, electrical pulse generator and optical modulator. And the role of it is to convert the electrical signal into optical form, and launch the resulting optical signal into the optical fiber. A transceiver is a device made up of both a receiver and transmitter (the name “transceiver” is actually short for transmitter-receiver) and these two gadgets are in a single module. When no circuitry is common between transmit and receive functions, the device is a transmitter-receiver. Transceivers can be found in radio technology, telephony as well as Ethernet in which transceivers are called Medium Attachment Units (MAUs) in IEEE 802.3 documents and were widely used in 10BASE2 and 10BASE5 Ethernet networks. 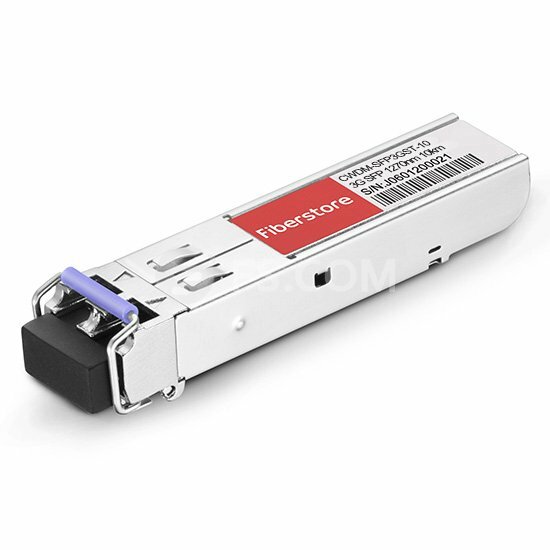 Fiber-optic gigabit, 10 Gigabit Ethernet, 40 Gigabit Ethernet, and 100 Gigabit Ethernet utilize transceivers known as GBIC, SFP, SFP+, QSFP, XFP, XAUI, CXP, and CFP, among which Cisco SFP is the most popular one. 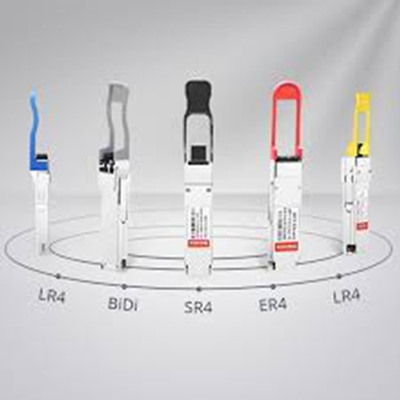 In addition, 1000BASE-T SFP, 10GBASE-T SFP+ and 1000BASE-T copper SFP we mentioned before are all transceivers. From the above information, we can know that the transmitter can only be used to transmit signals, while the transceiver can both transmit and receive signals. However, many view transceivers as a compromise in terms of performance, functionality, portability and flexibility and if they had any practical value it would be in mobile and portable applications. Transceivers sacrificed some features and performance to gain the smaller size/weight and cost. As for the portability, a transceiver just needs the space of one module, but functions as two different modules. It is easy to be taken on the go. Separate transmitter is not as convenient in some circumstances as it is probably heavier, and takes up more room. But they are advantageous because each could benefit from its own design, without compromising in areas such as I-F frequency choice, conversion frequencies, and audio stages and they are easier to build and work on. As far as the price is concerned, in most cases, a separate transmitter consumes more power. And the price of a single transceiver is much lower than that of a transmitter plus a receiver.Using a common frequency generation/tuning scheme, power supply and other components, it costs less to manufacture a transceiver than a separate transmitter and receiver.As to how to choose from them, the answer depends on your application. You may find many transmitters in you life, like the TV remote control. Although transceiver is not commonly noticed around you, it is actually commonly applied to many places. We can say that it is invisible but versatile. I sincerely hope that this article will help you understand the difference: transceiver vs transmitter, only then, can you use them in the right way. Previous Previous post: Which One to Choose? Fiber or Copper Patch Panel?